BACH FLOWERS UNFOLDING Card Deck is a unique and practical tool for working with the Bach Flowers. It reveals new levels of information about the Bach Flower essences discovered and developed by Dr. Edward Bach. The information provided within this card deck has been channelled by the author while the essence of Edward Bach’s original work has been carefully preserved. Each card includes exquisite full colour illustrations and details including a message from each respective flower and the primary focus. The companion book enhances this information with detailed descriptions about the present state of mind of a person and the potentially transformed state. The book provides suggestions on how to work with the cards, alphabetical lists and an explanation for the use of the actual remedies. 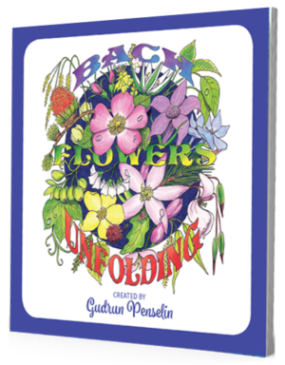 BACH FLOWERS UNFOLDING is easy and practical to use. It can be used alone or in addition to any healing modalities including Bach Flower therapy. GIFT CERTIFICATES great gift for any occasion!